Signs and symptoms of a medical issue are not the same thing. Signs can be observed by others, while symptoms are things that are only noticed by the person actually experiencing the medical problem. 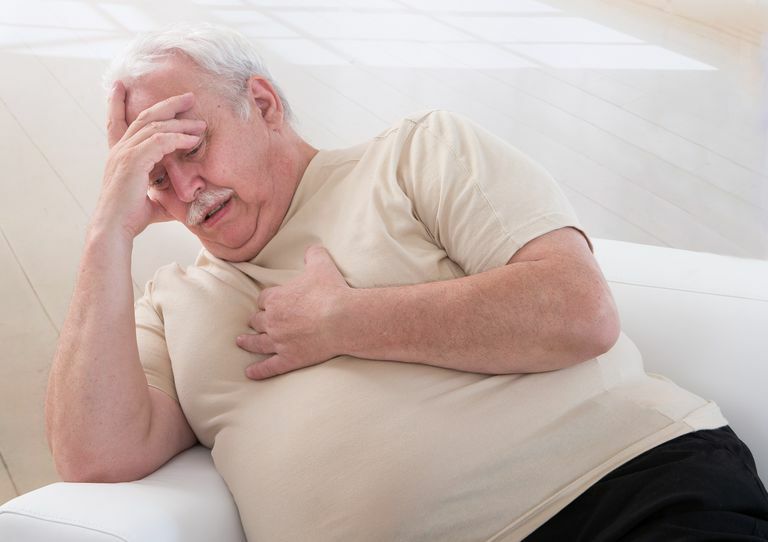 If you are worried that your spouse or a parent could be having a heart attack, there are some red flags to consider even if he or she doesn't complain of any particular symptoms. A heart attack is a deeply personal crisis and the exact way in which they occur can be different for every victim. There aren't a whole lot of outward signs to tell the world when someone is having a heart attack, so sometimes it can be difficult to detect. The most common physical symptoms of a heart attack are chest pain or pressure in the chest. Sometimes a victim will be short of breath or have pain or pressure in one or both arms (usually the left), or in the neck and jaw. While it's not in any medical books that I know of, one thing I've noticed about nearly every heart attack patient I've treated is that he or she was very distracted. One of the symptoms of a heart attack described often in medical literature is a "feeling of impending doom" -- some patients actually feel like they are going to die. I'm sure you can see how one could be a bit distracted by that feeling. Distraction alone is not necessarily a sign of a heart attack but coupled with other common signs it could be an indicator. The more of these signs you see, the more likely it is that this person is suffering a heart attack. If you suspect your loved one is having a heart attack you could call 911 immediately, but I recommend talking to him or her first. Don't ask if anything is wrong. Instead, ask why he or she is rubbing that arm. Ask why he or she is winded or out of breath. Ask about pain or pressure in the chest. They might be able to provide clues as to what is going on which them, and to the severity of the situation. If it is determined that the victim needs to medically evaluated, then call 911. The paramedics will have tools to get treatment started right away en route to the hospital if it's necessary. All potential heart attack situations should be taken very seriously.